It is as worrisome as it is sad how the Nigeria’s pre-electoral hysterics of 2015 have been consciously or subconsciously forgotten. An average political conservative might consider this proposition as untenable given that whatever happens in the Nigerian societal terrain is left to its originators to sort out. Like the often misconceived biblical injuction, we would rather give to Ceaser that which is not Ceaser’s. That is unfortunately how the margin of our consciousness of historical reality has been eroded. The late Chinua Achebe; Africa’s literary legend, was point-blank in his infamous 1983 booklet, “The Trouble With Nigeria,” when he summed that “the trouble with Nigeria lies simply and squarely on the failure of leadership.” However, it wouldn’t be an out-of-place logic to note that the country’s litany of woes have gone beyond leadership inadequacies. Everyone is rather culpable. Prior to the 2015 elections, there had been tears and wails. It looked as though the country was coming at full stretch of its elestic limit. The political terrain was spiky and slippery, and change was soon the formulaic pleasantries. These pre-electoral events have often defined a society advancing swiftly to both governmental and societal renaissance. Time immemorial, calculative revolution from the people, a clear-cut sign of discontent with the underperforming power, has always worked out well, and in many cases, heralded the freedom and growth of that society. Sadly, the lots of our country have fallen short in that dimension of redemption. Count down to three years after that historic game plan and you would agree that our critical sectors have dwindled beyond statistical permutations. Our social, human and economic infrastructure have degraded. The country’s collective posture looks as threatened as never before, creating sensitive vacuum for ill-thinking politicians to exploit. Not many political Nostradamus foresaw today’s national tribulations. In fact, most pundits had branded the emergence of the present administration a Messianic Intervention; an unprecedented political renaissance that would unchain the limbs of our dear country from the greedy grip of social parasites and reapers of bad news. More than three years after that thrilling dream, we have been woken up by the cold hands of un/fair reality. 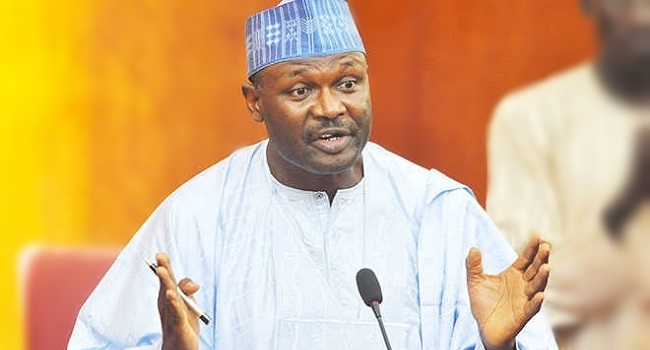 According to the Independent National Electoral Commission, INEC, Nigeria currently has ninety-one registered political parties, haggling for or looking to tease luck at the numerous public offices in the country. The imminence of the 2019 General Elections has seen a heavy downpour of interests from as many political hagglers as you would count on to make the ultimate sacrifice for the development of Nigeria. Once again the atmosphere is littered with pledges, promises, oaths and manifestos. We look to be facing the same dilemma of 2015, but with a more blurred prospective because we have shrugged off history and forced our eyes close to its lessons. However, the cries and wails for another change remian loud. Most political analysts have defined the upcoming elections with different formulas to either portray its intensity or relay anxiety. Still, it is sadly a race of old foes. One who is accused to have wasted our patriarchal legacies in sixteen years of prodigality, and the other who was christened a saviour, but has abandoned the principles of redemption on the same old alter of prodigality. It is hard choice to succeed as a credible politician in Nigeria, where requirements for party s/election are twisted to favour of the rich, the influential, those who know or those that are related to those in power. The resultant ricochet of this rigged process is that candidates with credible antecedents are eliminated while those who have just emerged will stick to the ugly process that brought them up lest they get removed for not being a “good party person.” And in Nigeria where credibility does little in changing the electoral outcome, these worthy candidates are forced to either turn or watch their dreams go down in ashes. 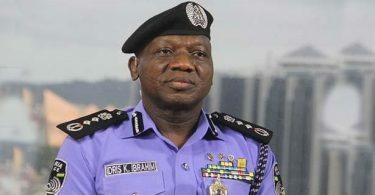 The erratic Nigerian political temperature has made the 2019 General Elections something of a dire battle, with propaganda and false claims dominating every receptive circle. It is at this point that the Nigerian electorate must take that step of courage to re-align the democratic fulcrum of this nation. However, that can only be feasible if the electorate can accept the hard values of social change, deny itself of the ruining warmth of electoral compromise and tell the dirty politicians face-on that the days of filthy games are over. As the old-time maxim puts it: national interest supersedes personal interests. We can only get the national arithmetic right in 2019 if we embark on the practical journey of value reorientation and collective mindset of change. And we have barely two months to do so!